Not all Medicare Advantage Plans are created equal. A little-known option may appeal to those approaching retirement. The vast majority of people who have Medicare have questions about what may happen to Medicare as a result of the Affordable Care Act, also known as ObamaCare, as well as other healthcare reform laws. The most interesting thing about those questions is that most of the ground-breaking Medicare reforms have been on the books for more than a decade. One of the first and most significant Medicare reforms legislated in the late 1990s and early 2000 was the Medicare Part C program. As of 2014, more than fifteen million Americans have Part C Medicare coverage. That’s about 30 percent of the fifty million Americans covered through Medicare. That means that those Medicare beneficiaries chose to get their Medicare benefits through a Medicare Advantage Plan (MAP). Because they are privately insured, Medicare Advantage Plans can provide additional benefits over original Medicare. Those additional benefits often include dental, vision, transportation, gym, and hearing benefits that original Medicare does not cover. A little-known option to Medicare Advantage Plans—the Medicare Advantage MSA Plan—however, offers a variety of unique benefits that are unmatched by any other type of plan because it is a Consumer Directed Health Care Plan. There are only two categories of Medicare Advantage plans that beneficiaries can choose from, and each has very distinct features. To fully understand these two types of plans, we can look to Congress and how it defined the law that created Medicare Advantage Plans. Congress took a deliberate and measured approach to the issue of the types of privatized Medicare plans it would implement under the law. First, it allowed Coordinated Care Plans, which are commonly thought of as Managed Care plans and most commonly known as HMOs, EPOs, and PPOs. They all have a common thread in the way they deliver health care, which is that members are restricted to the plans’ networks. These types of MAPs are all based on a network of providers and facilities that have contracted with the health plan to deliver all Medicare services to their members. In contracting with the health care plan, providers agree to deliver their services at a re-pricing discount of the Medicare fee schedule. This discounting is designed to get lower-cost health care and pass that along to members. All of these types of plans have a cost-sharing feature. This means that most providers require a co-payment at the time of services. Say, for example, the member’s co-payment is $20. This is designed to keep the plan compliant with the Medicare rule that says all providers must receive a total payment for services that equals 90 percent or greater of the Medicare approved amount. So if the approved amount is $100 and the Medicare plan got a discount of 30 percent, then the doctor will get $70 from the plan and $20 from the member. The combined total is $90 or 90 percent of the Medicare approved amount. It is through the cost-share feature of a MAP that the discounts can be significant for the health-care plan but the provider always gets a minimum of 90 percent of the Medicare fee through cost shifting. The final feature is the regional nature of the plan. A Medicare Advantage Plan has a network defined by its service area. In other words, a participant living in New York can’t see doctors in California unless the network contracts providers in both places. This generally means that when those in a MAP plan travel outside of the network area for any reason, they will not have coverage unless it is a bona fide medical emergency. The second type of plan that congress created is Consumer Directed Healthcare, or what is technically known as a Medicare Advantage Medical Saving Account (MSA). MSA plans are options to Medicare Advantage Plans that combine a high-deductible health insurance plan with a medical savings account. They are currently only available in New York, New Jersey, and Pennsylvania. The MSA is a very different type of Medicare Advantage Plan in a variety of ways. There are no networks involved. A Medicare beneficiary who choose to enroll in a MSA can see any doctor, any hospital, and any laboratory, anywhere in the entire country that is a Medicare-approved provider. There is no discounting of provider fees because the plan pays 100 percent of the Medicare allowed amount. Due to this feature, there is never any cost shifting by the plan to the member in the form of copays or deductibles. The provider is always paid at 100 percent of the approved amount from Medicare. This insures that members are protected at 100 percent after they meet the annual deductible that the plan carrier sets each year. Currently, only two carriers offer a MSA and the highest deductible is about $4000 a year, (the federal limit is $10,000), which makes the MSA a high-deductible health plan. However, the money that Medicare deposits in the MSA account for health care expenses offsets the deductible dollar for dollar that is spent each year by the beneficiary. Therefore the real exposure to the MSA plan beneficiary is the difference between the deposit of cash and the calendar year deductible. The Medicare system deposits money into the MSA for use by the beneficiary on any medical cost as they see fit. The money can be used for any purpose, but if it’s not for a medical reason, it doesn’t count against the deductible. Enrollees of Medicare MSA plans can initially use their savings account to help pay for health care costs that reduce the deductible dollar for dollar as they pay their medical bills. When they reach the annual deductible, they will have coverage through a high-deductible insurance plan that pays 100 percent of the cost of their medical care for the remainder of the calendar year. However, if beneficiaries use all the money in their accounts and there are additional health care costs, they must be paid for out-of-pocket until the deductible is met. 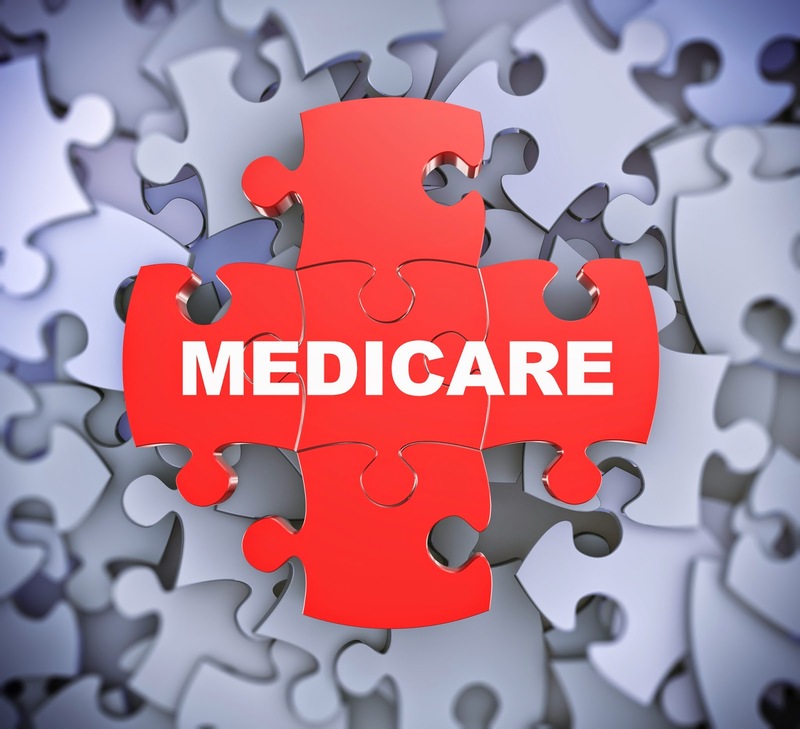 Medicare MSA plans can provide Medicare beneficiaries with more control over health care utilization, while still providing coverage against catastrophic health care expenses. MSA plans do not offer Medicare Part D prescription drug coverage. Enrollees can, however, join a stand-alone Medicare prescription drug plan (PDP) where MSA savings account withdrawals for Part D drug co-pays will count towards the PDPs out-of-pocket spending limit, known as True Out-of-Pocket or TROOP. To really understand the MSA plan design, let’s look at the two components of an MSA individually. Part One: The Savings Account. The first part of a Medicare MSA plan is a special type of savings account. Medicare pays a set amount of money to private companies that apply to offer these plans. The plan deposits money from Medicare into the savings account at the beginning of each year. Enrollees cannot deposit their own money into their accounts. Anyone considering enrollment in an MSA plan should understand exactly how it works and what the plan covers. It is important to know both the deposit amount that will go into the savings account and the plan’s deductible amount before enrolling. Enrollees use the account to help pay for health care, but will also have to pay out-of-pocket for care until the MSA plan deductible is met, when coverage by the plan begins. • Medicare Part A and Part B expenses count towards the MSA plan deductible. • Enrollees can use their account to pay for any qualified medical expense, including for non-Medicare expenses. Account withdrawals are not taxed when used for qualified medical expenses, as outlined in IRS Publication 969. MSA enrollees need to file Form 1040 and Form 8853 annually to report account withdrawals. Non-Medicare expenses do not count towards the plan deductible. • Enrollees would owe both income taxes and a 50 percent penalty on any savings account withdrawals that are used for non-medical expenses. • Any money left in an account at the end of the year will remain in the savings account. If enrollees stay with the plan the following year, the new deposit will be added to any leftover amount. The deposit amount can change each year. Part Two: The High Deductible. The second part of a Medicare MSA plan is a high-deductible Medicare Advantage Plan. MSA benefit packages must cover all Medicare Part A and Part B services. MSA plans may or may not have contracted providers, but MSA plans will cover Medicare costs once an enrollee meets the yearly deductible. Only Medicare Part A and Part B expenses can count towards the plan deductible. • Plans cover costs beyond an out-of-pocket spending limit (catastrophic coverage). • Enrollees do not pay a plan premium to MSA plans. Plan enrollees are still required to pay their monthly Medicare Part B premiums to Medicare. • Information services, called transparency, to help enrollees shop for health care by comparing the cost and quality of providers. • Coverage for additional benefits such as vision, hearing, or dental at an optional additional cost to the member. These do not count towards the plan deductible. • Beneficiaries with both Medicare Part A and Part B can enroll in a MSA plan. • If the beneficiary has health insurance coverage that would cover some or all of the MSA plan deductible, including benefits under an employer or union group health plan; health care benefits from the Department of Defense (TRICARE) or the Department of Veterans Affairs; or is a retired federal government employee and part of the Federal Employee Health Benefits Program (FEHBP). • If the beneficiary is eligible for Medicaid (a joint federal and state program that helps with medical costs for those with limited income and resources). • If the beneficiary has End-Stage Renal Disease. • If the beneficiary is currently getting hospice care. • Or if the beneficiary primarily lives outside the United States 183 or more days a year. Some plans may be sponsored by employers or unions and offered only to members of that group. This is a special type of plan called an “Employer Waiver Group Plan.” Although you should be aware of these types of plan designs, they exist only in the group marketplace and warrant a separate discussion. George Fox is Executive Director of Medicare Help Center in New York and is a Life Underwriter Training Council Fellow. He is a graduate of New York Institute of Technology and the College of Financial Planning in Denver, and is author of Medicare Entitlements Exposed. He can be contacted at 631-546-5402 or gfox@medicarehelpcenter.org. Visit his website at www.medicarehelpcenter.org. Donald Conrad is a Registered Investment Advisor and president of Conrad Capital Management, a registered investment advisory specializing in private wealth management. He offers primarily fee-based financial planning and full-service investment management services. Visit his website at www.conradcapital.com, or contact him at 631-439-7878 or dconrad@conradcapital.com. Medicare Advantage Plans and Consumer Directed Health Plans: Understanding the Difference was recently published in the Fall 2014 edition of the CSA Journal.